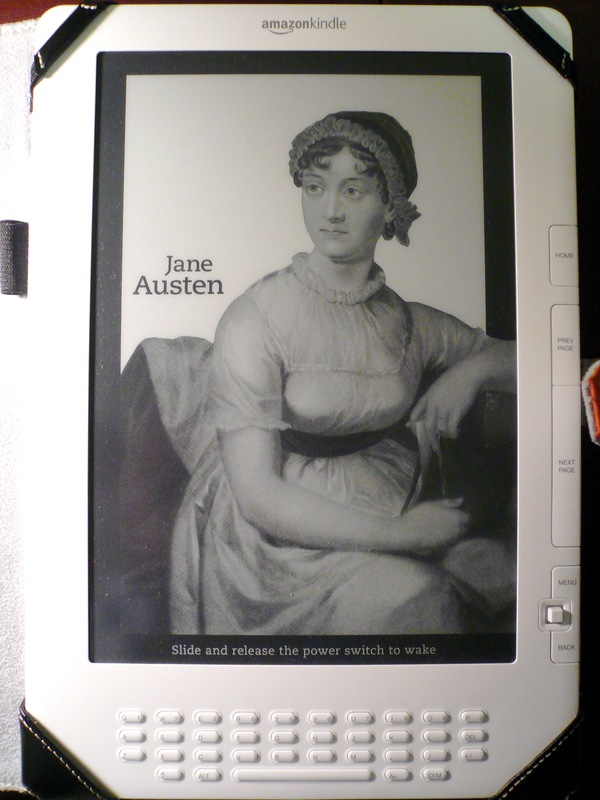 Home » Articles » Jane Austen: At the top of the Kindle pile. Jane Austen: At the top of the Kindle pile. Spare me just a moment to bend my knee and worship at the Jane Austen altar. Trawling around the net today in search of Fodder for my best books of 2011 list (groan I know but you know you want it) and realising in horror I have to read IQ84 books one and two before I can properly judge, I happened to see that close to the top of the POPULARITY list on Amazon Kindle is a Jane Austen compilation. We all carry on and on about Gone with the Wind and The Godfather and the fact that they have lived at the top of the best sellers lists for decades, but nothing beats the popularity of the genius wordsmith Jane Austen. Ok – when it comes to females I admire, as a girl I preferred Catherine Earnshaw and Jo March – with a little dash of Jane Eyre (I was a good girl in a cult back then) – but nothing I have ever read beats the characterisations of Jane Austen. Her wit and social repartee override the complications of her rather lame plots. But this is the popularity list – the kindle best sellers. Not the most recommended by your high school teacher list – this is the list of books people want to read. Ad there she is, in 2011. Miss greatness herself.